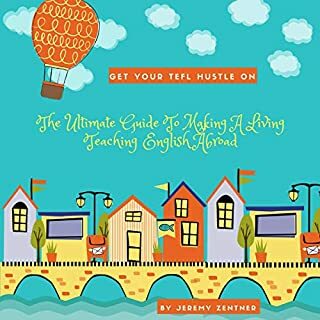 This book that will introduce you to the world of teaching English abroad and the roles that almost any native English speaker will be able to do. The author listed a couple of websites to check. It was mostly a little advice about teaching or working as a nanny in Russia. Very general. One of the Best Acting Advice Books I've Read! 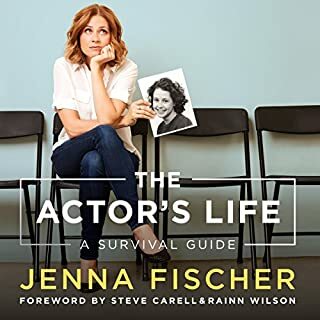 Jenna Fischer's book is EXTREMELY helpful! A great how-to guide on how to get into the acting business. Her journey covers what's needed to make it as an actor/actress. Lots of specific details on headshots, working on film sets, auditioning, day jobs, etc. 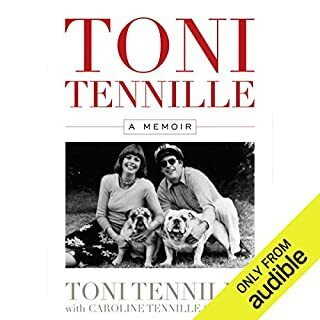 I found Toni Tennille's story to be very interesting, relatable, open and moving. But, it was also sad to see how a person can stay in an unhappy or abusive marriage for so long. Like so many people. Even someone with so much talent, charisma, intelligence, and seemingly having so much going for them. It reminds me that life is short, and goes by quickly. Even though it wasn't until Toni Tennille's 70s, I'm glad that she finally moved on and got a divorce from Daryl. It sounds like it was best for both of them. Sounds like an unhealthy co-dependant marriage. I was surprised to learn that Daryl is still living, seeing as she aired a lot of dirty laundry about his quirky habits and lifestyle. It's good that they're still on amicable terms. Just two notes: Did she really witness the curvature of the earth while traveling on the Concord jet? Normally, the earth is only shown that way via computer graphics. And, I was surprised to learned later in that book, that Daryl normally ate yogurt, being macrobiotic. I didn't think that dairy was part of a macrobiotic diet. 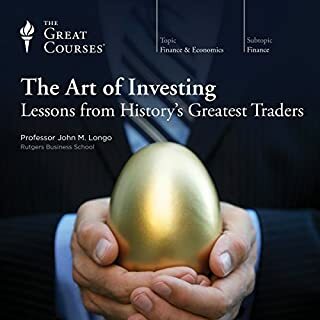 I like how this book gets to the meat of all the traders, their philosophies, history, etc. 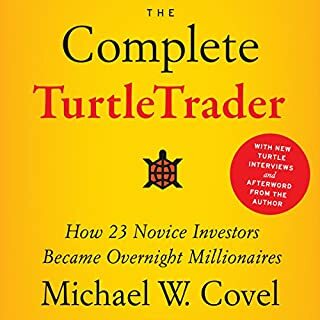 A lot of good investing advice to glean from the book. And, it's interesting! Some of these "Great Courses" bore me, and I find dry. This kept my interest the whole time. Too Much Fluff... Get to Point! I think this could have been much, much shorter. I got too frustrated to continue listening. Seemed to talk forever to tell story. Summarize please. 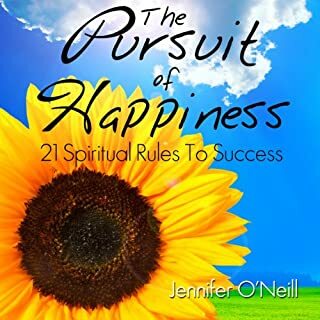 These tools help shift your thinking, commit to your dreams and show you anything is possible -- Linda H.
Got me thinking positive, and to be more active in finding happiness and fulfillment. All about continuing to make choices that make you happy. Being willing to continue to make choices! And, to keep trying, exploring, listening to your dreams/wants to pursue happiness. Setting goals. Ignoring negative talk/road blocks. In his articles and in best-selling books such as The Botany of Desire, Michael Pollan has established himself as one of our most important and beloved writers on modern man's place in the natural world. 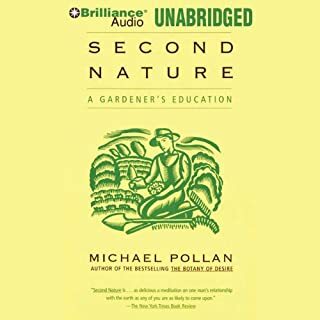 A new literary classic, Second Nature has become a manifesto not just for gardeners but for environmentalists everywhere. Kept my interest through most of the book. Pollan is a GREAT storyteller. And intertwines gardening information, his experiences, into it. I liked his childhood stories the most, about his family, and semi-juvenile delinquent buddy. Lots of interesting characters in Pollan's childhood. One fateful day in 1996, after discovering that five freight cars' worth of glittering corn have reaped a tiny profit of $18.16, young Forrest Pritchard vows to save his family's farm. What ensues-through hilarious encounters with all manner of livestock and colorful local characters-is a crash course in sustainable agriculture. 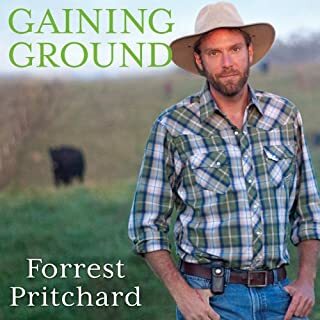 Pritchard's biggest ally is his renegade father, who initially questions his son's career choice and rejects organic foods for sugary mainstream fare. I read this book, after 'The Dirty Life' by Kristin Kimball. Her personal story was more interesting to me, and she went into a lot more detail about farming. This book didn't keep my attention. I found some bits to be funny, like about one worker on the farm. The part of the farmer's markets was interesting. But, the rest of the story was a bit same-old to me. City/farm boy wants to become a farmer, like Grandpa, and go back to the family farm instead of getting a "real job". 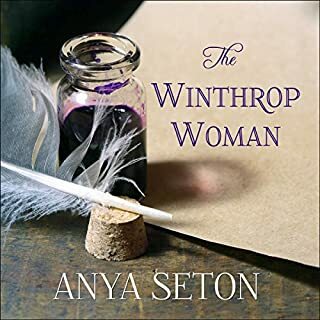 Elizabeth Winthrop Feake was my 9th generation great grandmother, through Hannah Feake Bowne and John Bowne. My mother often told me about our family history, including, bownehouse.org, where the Bowne house is now a historical site in Flushing, Queens, NY. Also, a Quaker meeting house is there, and a variety old trees in the area. You can learn a lot of rich history that often is left out in school. I found this book especially interesting. I tried to read the hard copy book a few years ago, but, I'm not much of a reader. The audiobook kept me interested and engaged the whole time. It's important to also hear about women in history. Also, to get more of the raw and not always pretty truths of America, like the political struggles, power struggles, land grabs, injustices, etc. I saw Hamilton on Broadway, but, this book told me a lot more about early American history. In the fall of 2014, outspoken pundit, author, and filmmaker Dinesh D'Souza found himself hauled into federal court for improperly donating money to a friend who was running for the Senate. 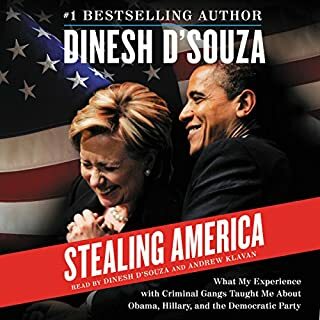 D'Souza pleaded guilty, apologized for his offense, and was sentenced to eight months in a state-run confinement center near his home in San Diego. In the facility, he lived among hardened criminals - drug dealers, thieves, gangbangers, rapists, and murderers. Is it already too late? I found this book to be well narrated, and the story kept me engaged. Although, I got annoyed by the author's analysis of certain things. Like basically, brushing off the damage done to native Americans by settlers, saying Native Americans would never be able to sustain their old lifestyle and traditions anyway. And, that African Americans had the chance to go back to Africa, but, they didn't take. He seemed to Imply that they knew they had a pretty, darn good setup in the USA. Also, he seemed to act like a victim by his sentence. However, he did break the law with his excess campaign contributions. I found out watching 'Young Turks', that he funneled his additional $20K campaign contributions through his wife and mistress, unbeknownst to them. His analogy of gangs and politics seemed a bit over simplified to me. So although, he's an engaging storyteller, some of his opinions, and attitude annoyed me. So, I stopped reading the book. To be fair, I only read part of the book.